Following the continued deadly attacks of Boko Haram, the Nigerian military may have resorted to seeking help from the United States government which has offered to train its soldiers on how to counter the terrorist attacks. The US training is expected to equip the Nigerian soldiers on how to tackle the frequent attacks often launched by the group. 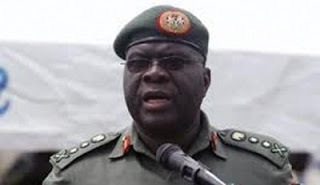 In a report by The Guardian of London, military authorities in Nigeria were said to have confirmed that Nigerian soldiers were undertaking trainings in the US. “The army is in the process of setting up a division that is effectively looking at warfare tactics," a spokesman said. "Various battalions were in the United States earlier this year for training to that end." US officials confirmed it has a longstanding deal with Nigeria with soldiers travelling to America for training. They could not comment on whether the exercises were aimed at combating Boko Haram. The US embassy in Abuja said: "We have had a mil-mil relationship with the Nigerians for decades, principally supporting their peacekeeping efforts in Africa (Liberia, Sierra Leone, Darfur) and around the globe. In recent years, and at their request, we have also worked with them on their nascent counter-force. We do not know if any of these elements have been deployed in the North." More than 150 people were killed by the insurgents last weekend in what has been described as the "Nigerian Taliban". The Federal Government had planned to crush the group with military force but faced criticisms from political interests led by the Borno Elders Forum and some human rights activists which accused the military Joint Task Force (JTF) of high-handedness and extra-judicial killings. This forced the government to slow down, to review its strategies, which further emboldened the attacks by the group. Attempts by former President Olusegun Obasanjo to broker peace between the sect and the government two months ago, soon ran into brick walls as the member, Babakura Fugu, who hosted Obasanjo, was killed by a faction of the sect which did not approve of any reconciliation with government. Boko Haram has launched several deadly attacks that have claimed hundreds of lives including those that died in the Police Headquarters blast in Abuja last June, and in the August 26 bombing of the United Nations House in Abuja, as well as several other attacks in the North-eastern states of Borno, Bauchi and Yobe. The frequent killings and violence by the sect has received wide condemnation even from the Muslim community in Nigeria. The European Union (EU) Commission yesterday described the attacks as mindless and heinous acts which could not be justified under any circumstance. EU's High Representative for Foreign Affairs and Security Policy and Vice-President, Ms. Catherine Ashton, in a statement strongly condemned the brutal attacks. The commission expressed its support for Federal Government's efforts to address the challenges posed by the sect in respect of human rights and rule of law through appropriate political and security means. Also, the United Kingdom said it was saddened by the attacks and offered condolences to families of the victims. UK's Minister for Africa, Henry Bellingham, in a statement issued on Monday night, condemned the perpetrators of the violent acts. "I was saddened to hear of the brutal attacks in Yobe and Borno States on Friday evening that killed and injured so many innocent people. I utterly condemn those who carried them out and I offer my sincere condolences to the families of the victims and to the government of the Federal Republic of Nigeria," he said. Describing the weekend killings as unjustifiable, the Human Rights Watch, in a report, said the attacks further showed that Boko Haram, which had killed 425 persons since the beginning of the year, had no regard for human lives. The latest attacks, including an apparent suicide car bombing, targeted the police state headquarters in Damaturu, the capital of Yobe State, as well as police housing, government buildings, banks, and at least six churches. Earlier in the day, the group also carried out several attacks in Maiduguri, the capital of neighboring Borno State, including a suicide car bomb attack on the headquarters of the military task force, and attacks in the town of Potiskum in Yobe State. Boko Haram’s major demand is to impose a stricter form of Sharia or Islamic law in 12 Northern states in Nigeria. According to international media reports, a Boko Haram spokesperson, Abul Qaqa, said that Boko Haram took responsibility for the attacks and threatened further violence. “We will continue attacking Federal Government formations until security forces stop persecuting our members and vulnerable civilians,” Qaqa said. Human Rights Watch has documented dozens of attacks by suspected Boko Haram members over the past year including attacks on police stations, military facilities and prisons. The group's official name is Jama'atu Ahlis Sunna Lidda'awati wal-Jihad, which in Arabic means, "People Committed to the Propagation of the Prophet's Teachings and Jihad". But Hausa-speaking residents in the city of Maiduguri, the group's spiritual home, call it Boko Haram, usually translated as "Western education is forbidden/sinful". The sect's modus operandi includes using motorbikes for drive-by shootings. In 2009, Boko Haram staged attacks in the North-eastern city of Bauchi and clashed with security forces in Maiduguri. More than 700 people were killed during a five-day crackdown in the two cities. Sect leader Mohammed Yusuf was captured and later shot dead in police detention. But fighters regrouped under Abubakar Shekau, and has since continued to wreak havoc on the Nigerian polity. The US embassy in Nigeria had issued a warning to its citizens, alerting that the sect had plans to attack luxury hotels in Abuja. But the Nigerian intelligentsia has dismissed the warning, describing it as no big deal. But the mood in Maiduguri remains tense. Co-ordinator of the National Emergency Management Agency, Ali Sambo, said: "It's a festive period and normally people would be out amusing themselves … But everyone is fearful… There are roadblocks and a curfew. "The issue here is that Boko Haram are members of the community. There's nothing to single them out; they are free to move around like any other citizen. How the police will deal with that is the big question."